Jack Stick, a former state representative and a former inspector general for the Texas Health and Human Services Commission, went on trial Friday for a drunk driving charge he has fiercely contested in the court system. 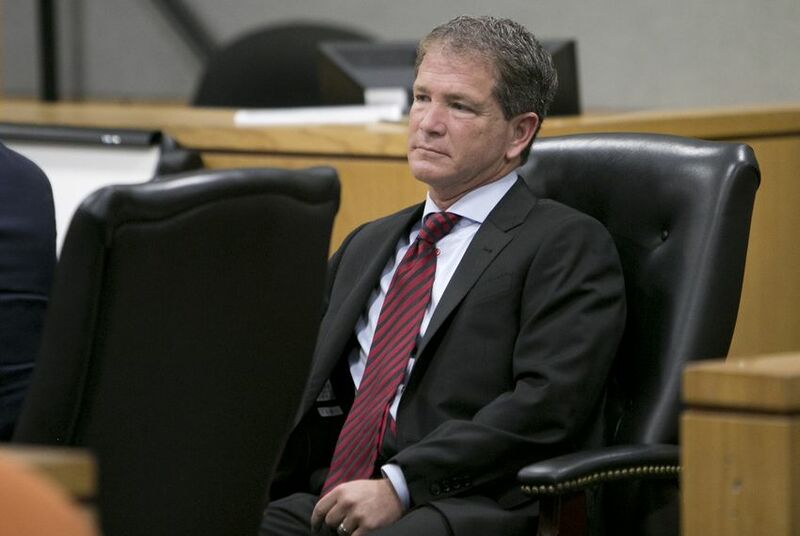 More than three years after he was originally arrested, Jack Stick, a former state representative and previous deputy inspector general for the Texas Health and Human Services Commission, went on trial Friday for a drunk-driving charge he has fiercely contested in the court system. Stick was arrested and charged with driving while intoxicated on September 11, 2012. Since then, he and his lawyer have fought the charges at every step, attempting to bar the results of his blood tests from the trial and questioning whether there was probable cause to arrest him in the first place. Travis County Judge Nancy Hohengarten ruled against Stick on both counts and allowed the trial, which is expected to continue after the weekend, to proceed. Stick resigned from HHSC in December amidst controversy after it was reported that, while he was the agency's deputy inspector general, he’d helped arrange multi-million dollar contracts with no competitive bidding process between the agency and an Austin technology company. Stick was promoted to chief counsel after his original arrest. Greg Burton, the assistant Travis County district attorney prosecuting the case, told jurors they should focus on Stick’s blood alcohol level (BAC) on the night of his arrest — but declined to say what Stick’s BAC actually was. His BAC was “so powerful,” Burton said, that he’s saving it for the end of his presentation. Burton showed the jury a video of the arrest and asked Robert Gilbert, the arresting officer, to testify about Stick’s traffic violations. But again, he emphasized, the state’s case all came down to Stick’s BAC. In his opening statements, Austin lawyer Brian Roark emphasized that he believes blood tests are fallible. He indicated he’d be quizzing the witnesses about the reliability of the tests, which he said must be taken into consideration. Stick, who himself has represented clients charged with drunk driving, refused a barrage of sobriety tests — including a horizontal gaze test, a one-leg stand, and a breathalyzer — the night of his arrest. “Anything I do tonight can only serve to incriminate me,” he told Gilbert the night of his arrest. “So you’d rather go to jail, have your vehicle impounded, than spend five minutes showing me you’re safe to drive?” Gilbert asked. “Look, I’ve represented hundreds of people in DWIs, and I’m not inclined to do it,” Stick said. He said he knew, “based on his training and experience,” that the tests were not accurate. During his cross-examination, Roark also tried to shed doubt on the indicators Gilbert used to determine probable cause. For example, Roark said, Gilbert watched Stick stop at a red light more than a car’s length past the stop line. “Folks do that all the time, even when they aren’t intoxicated, right? In fact, you did that at least twice, while driving him to jail,” Roark said, referring to the dashcam video of the arrest. Roark also questioned Gilbert’s assessment of Stick as “fumbling” for his insurance papers. Roark told the jury he was not convinced Gilbert had probable cause to arrest Stick. “What a lot of people would interpret as innocent, normal activity, you have interpreted as a sign of intoxication,” Roark said. * Correction: A previous version of this story gave an incorrect title for Jack Stick at the Texas Health and Human Services Commission. Stick served as deputy inspector general and chief counsel at the commission.